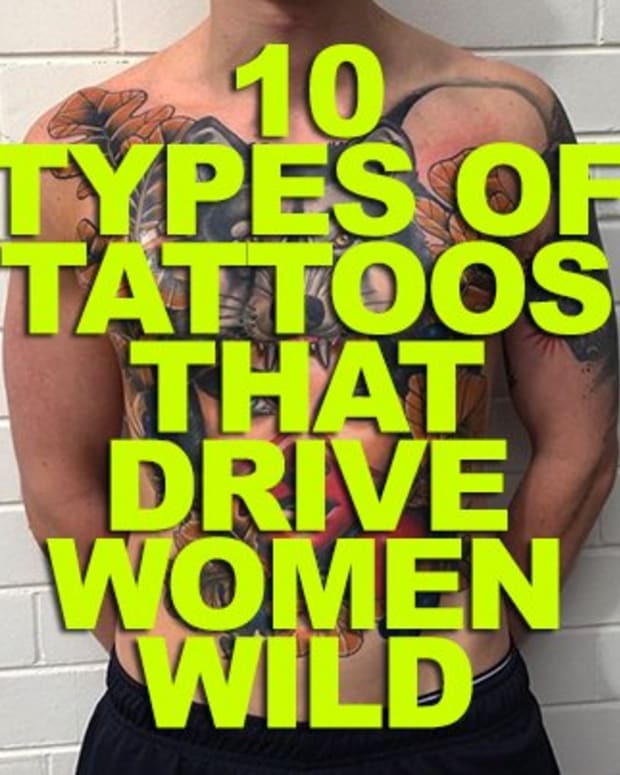 You may not expect to see a woman with a massive tattoo on her back, but the truth is, large back tattoos are becoming more and more popular, and they can turn out really incredible when they are done by a skilled artist, especially when they are inked on the backs of beautiful women. The work is especially striking because of the use of nothing but black ink, no colors at all. The result is some amazingly bold work. 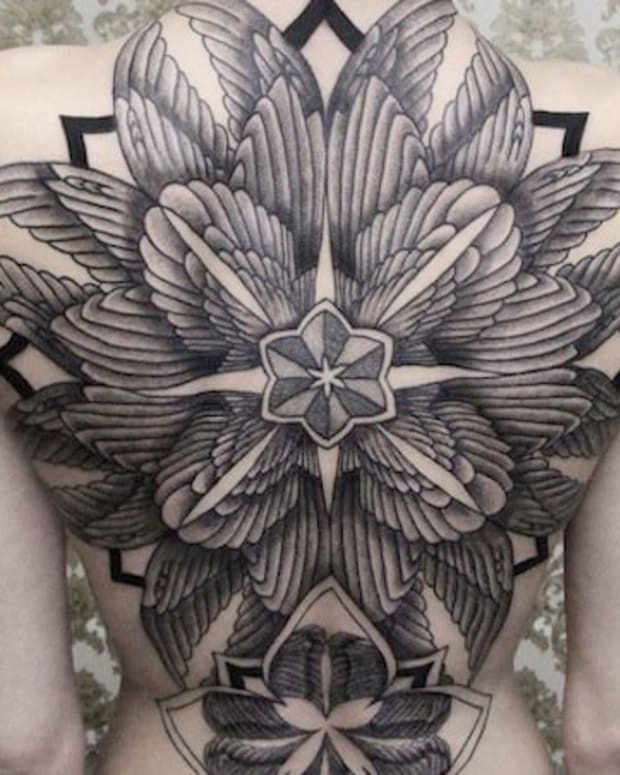 The unexpected contrast between a feminine back and what is typically seen as masculine ink often makes for a really interesting and gorgeous tattoo. 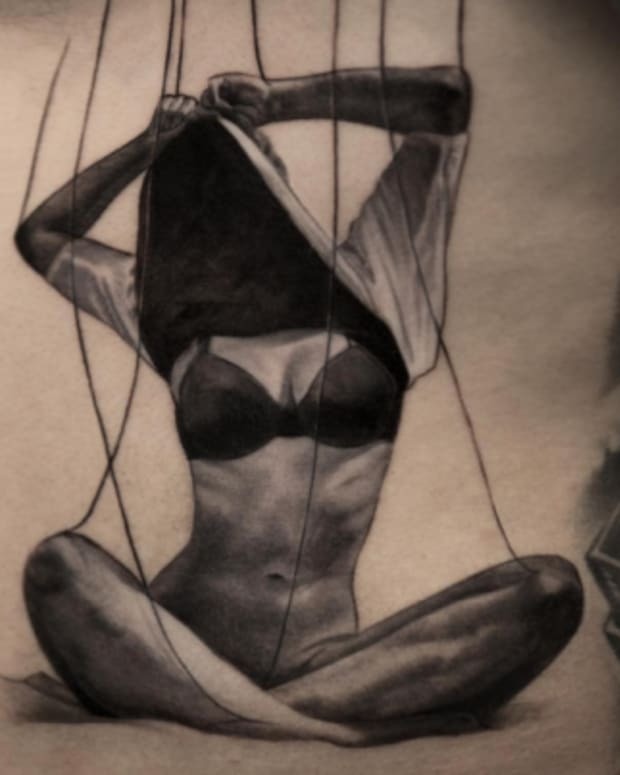 The following are seven stunning black back tattoos for women. 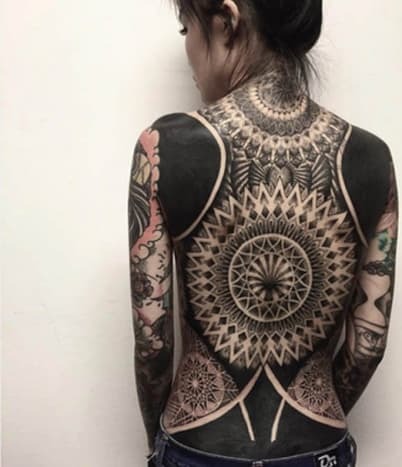 Chester of Singapore’s Oracle Tattoo shop is the artist responsible for this ornate back tattoo featuring an incredibly detailed tribal design and solid black sections on the woman’s shoulder blades and lower back. 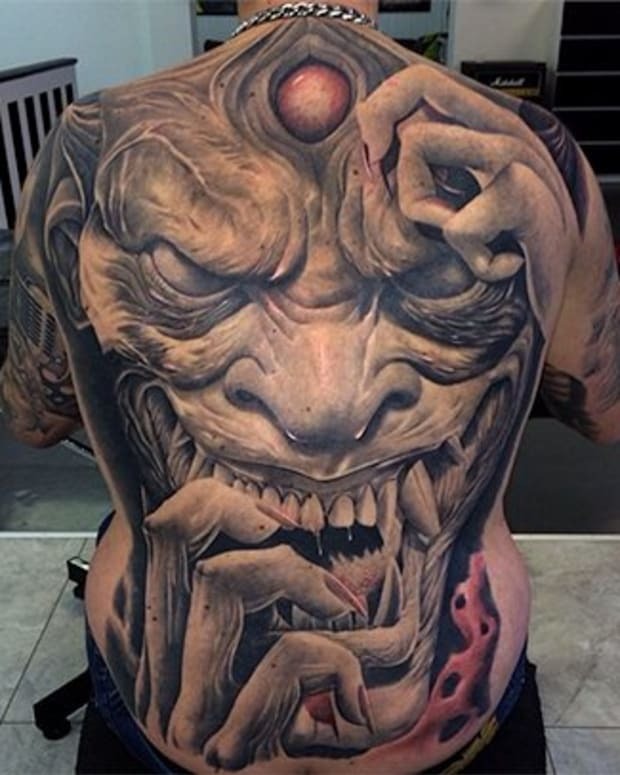 This stunning back piece was obviously done by a master tattoo artist and, believe it or not, is still a work in progress.